Julie graduated from the Swedish Institute in Manhattan, New York. Her unique training integrates Western and Eastern Modalities, including Swedish, deep tissue, myofascial release, Reike, Craniosacral therapy and Trauma Touch Therapy™. Julie believes that a successful treatment is a collaboration between the practitioner and the client. This belief involves asking the client to think through their own somatic needs by becoming aware of sensations and internal experiences. 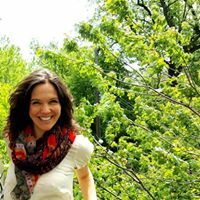 She believes we all have the innate capability to heal, and uses an intuitive approach to facilitate a safe and nurturing place for the mind, body and soul to unwind and move toward its own natural healing process. Each session is exclusively tailored to meet the needs of the client, and through compassionate and careful listening, she addresses physical and energetic issues creating space for potential deep healing to occur. To book a massage, email julie.angurera @ gmail.com or call 917-405-5268 , click here.